You've seen my posts with my Caribou Caddis dry flies. 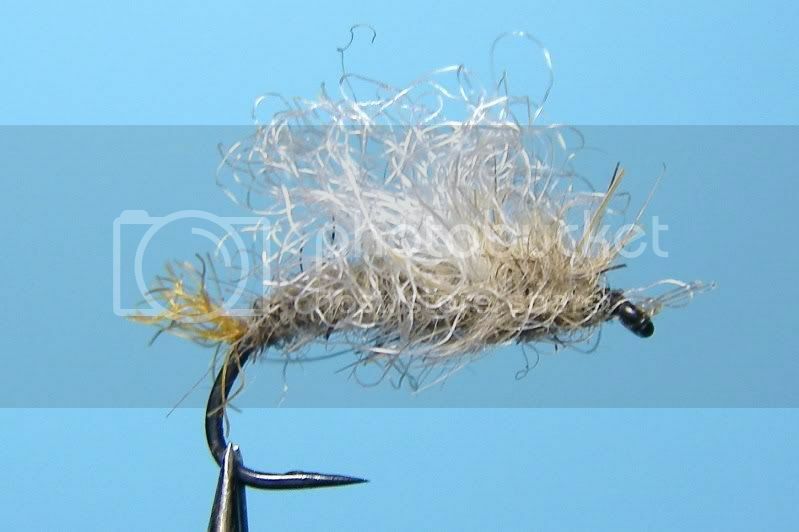 Here's the same fly with a snowshoe rabbit foot hair wing, I used this fly one day on the Madison River, and despite high winds, caught fish on it right up until dark. I fished it with 4X tippet, the leader totaled 13-14 foot in length. Long leaders are required if you want to catch fish with consistency with dries when the rivers are so clear and at summer levels. At times the wind made it tough, but with proper timing of your cast, you could get your fly where it needed to be with the long leader. It took tons of patience and concentration, and at times the wind was so fierce, I would just grab my fly and wait a bit. 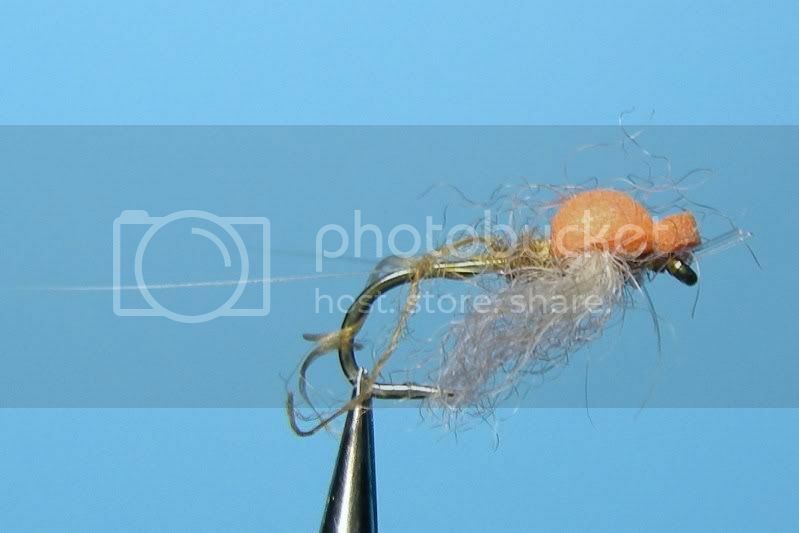 Here's the well-chewed fly complete with the end of the tippet still attached, and as with the Caribou hair version, I use a trailing shuck of zelon, so it serves as both an emerger and an adult. Just returned from a few days in Boston - business and pleasure - a bunch of meetings and Karen and I celebrated our anniversery with my stepdaughter Julia, and also hung out with my daughter Megan and her friend Jon till the wee hours of the night. Great time in a great city with my favorite people. 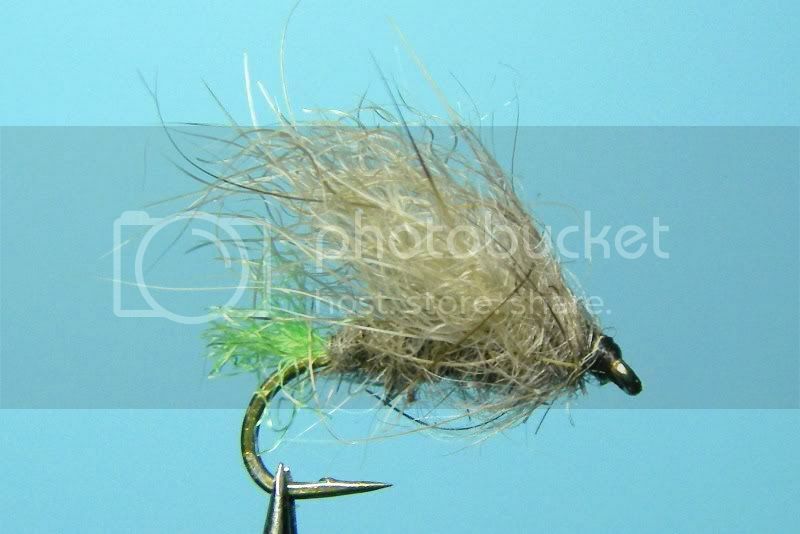 Anyway, I've been thinking I should give you all a heads up about this wonderful fly called the Missing Link Caddis. Mike Mercer is the originator of this concoction and it's a winner. I've used here this past season and, of course, in Montana. It's easy to tie and covers a wide range of caddis behaviors in terms of the silhouette. 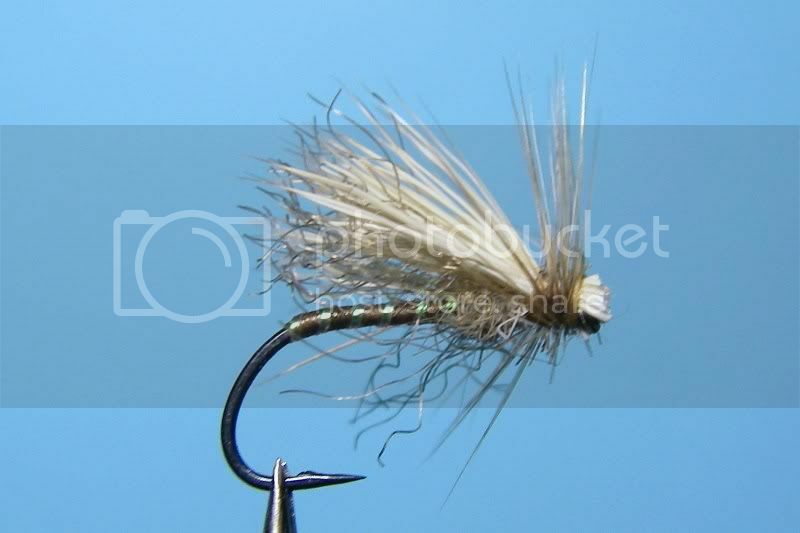 The spent zelon wings and the up-right elk hair wings combined with the thin sliver of a body provides an impression of several stages of caddis - at least that's what I think, you may have another view, either way keep a few in your box and fish them. 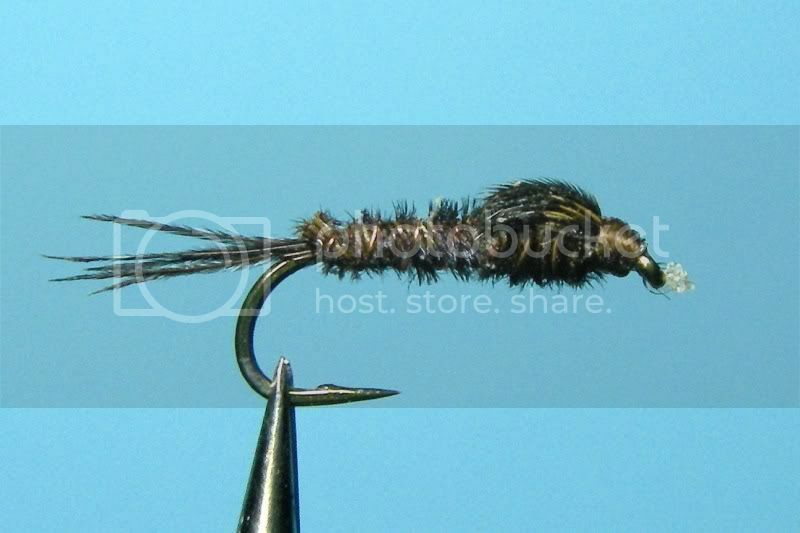 Hackle: Medium dun. 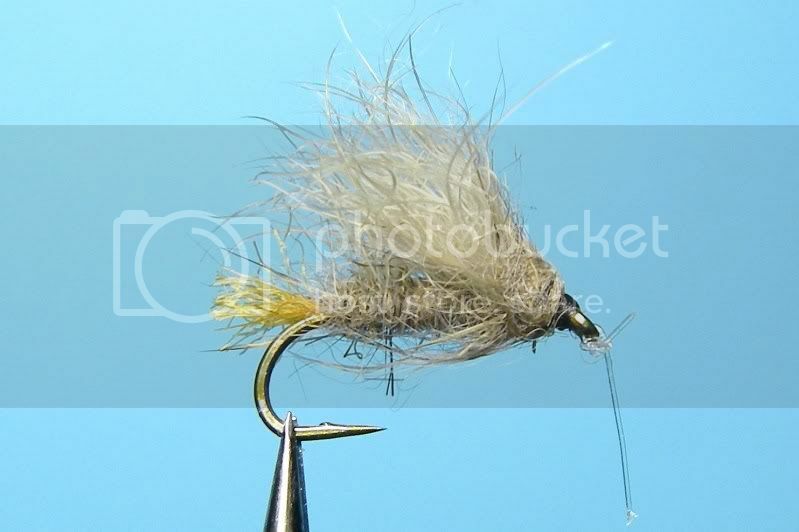 Mercer wraps the hackle parachute style around the wing and the butts of the wing, standing the butts up over the hook eye. It also pulls the wing more upright. I wrap the hackle collar style where I tie in the elk hair and trim it on the bottom, and it works just fine without the craziness of trying to wrap it parachute style and tie it off. I can do it, but why, when you can wrap it otherwise and save time and get on to the next one? Have a ball, take your time, there's always tomorrow. Still playing catch-up since returning from Montana, so I figured I'd post a few more pics quickly until I find enough time to write about some of the fishing, flies and experiences we had. Here's a large bull elk resting in the shade next to the Gibbon River in the park. This thing was huge as you can see from the size of his rack. Too bad he was camera shy and refused to turn his head. 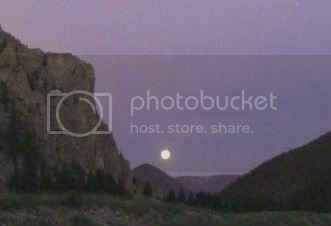 Late in the day on the Henry's Fork River, the sun decided to collaborate with the skies and put on a light show. The fishing was good that evening, and this was a wonderful ending to a few good hours on the world's largest spring creek. And finally, here's Karen fishing a nice riffle off a center island on the Madison River. 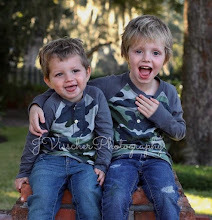 Stories and other tid bits from our trip to come, first the honey-do list needs to be whittled down.